Every environment and site is different, with each developing unique challenges to keep it fully functional. An advanced network monitoring solution is essential. The advantage of SitePortal® is its ability to interface with virtually any device that you want to monitor. 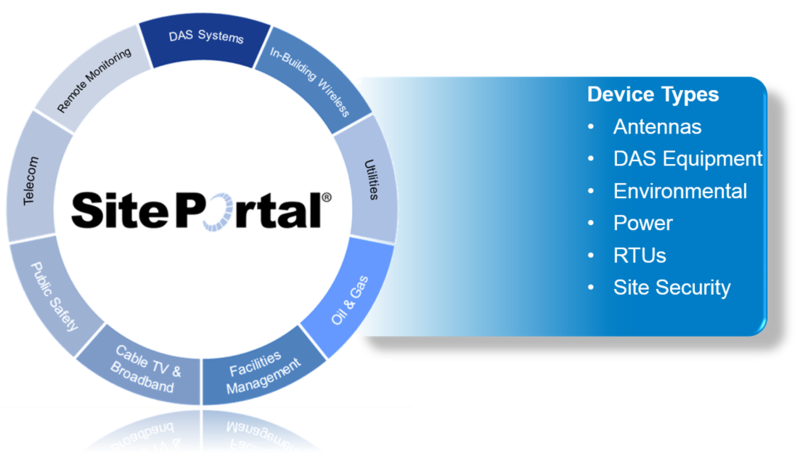 Within SitePortal® you will have the ability and control of every site and every device, from one intuitive interface. Network monitoring of a complex system can be a challenge. Ensuring that each site is operating the way it should can be daunting – whether it’s a power substation, cell site, a DAS system or small cell network. All have components and devices which must be kept fully operational, at all times. SitePortal® has the ability to provide remote site monitoring and troubleshooting to maintain numerous device types, keeping you in control of any network. SitePortal® is an advanced network monitoring software that was designed to be deployed into any environment. The features that have been built into SitePortal® take into account the various needs and requirements that different venues, buildings and environments require.